Collected together for the first time, the results from Maria Thun's forty years of work researching optimum days for sowing, pruning and harvesting. Demonstrates the influence of the rhythms of the sun, moon, and planets on plant growth. 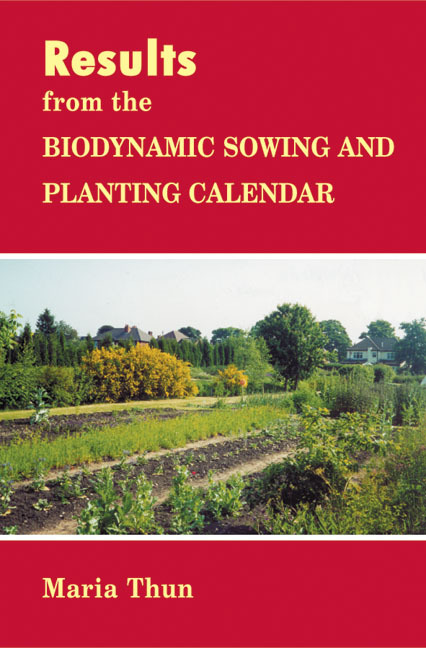 For over forty years, Maria Thun has been researching optimum days for sowing, pruning and harvesting various plant crops. Here, collected together for the first time, are results from this work, showing the influence of the rhythms of sun, moon, and planets on plant growth. This book shows that if farmers and gardeners link their work into these cosmic rhythms, the quality of their produce is markedly increased. Avoiding unsuitable days is shown to help prevent crop damage through disease and pests. Methods of fertilizing and spraying have been developed which further enhance produce, allowing a sustainable and ecologically balanced agriculture. Includes sections on the stars, the soil, composting and manuring, weeds and pests, as well as growing cereals, vegetables, herbs, fruit and vineyards. Maria Thun is a Floris Books featured author. Read all about this author's life and work on our dedicated author page. 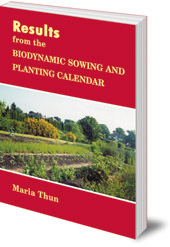 Maria Thun is the author of the annual Biodynamic Sowing and Planting Calendar. She has over 40 years of research and experience in biodynamics.